Did you know…as one of the oldest spices known in Asia and Europe, ginger has a long history as a seasoning and was once as common as salt and pepper. People would add ginger to everything, including teas and beers leading to modern drinks like ginger ale and ginger beers. Ginger is one of the world’s favorite spices and has been acclaimed for its medicinal benefits since ancient times. A perennial herb native to southern China, ginger was imported early on to India, Southeast Asia, West Africa, and Europe. Ginger is the underground rhizome of the ginger plant (Zingiber officinale).The flesh of the ginger rhizome can be yellow, white or red in color, depending upon the variety. 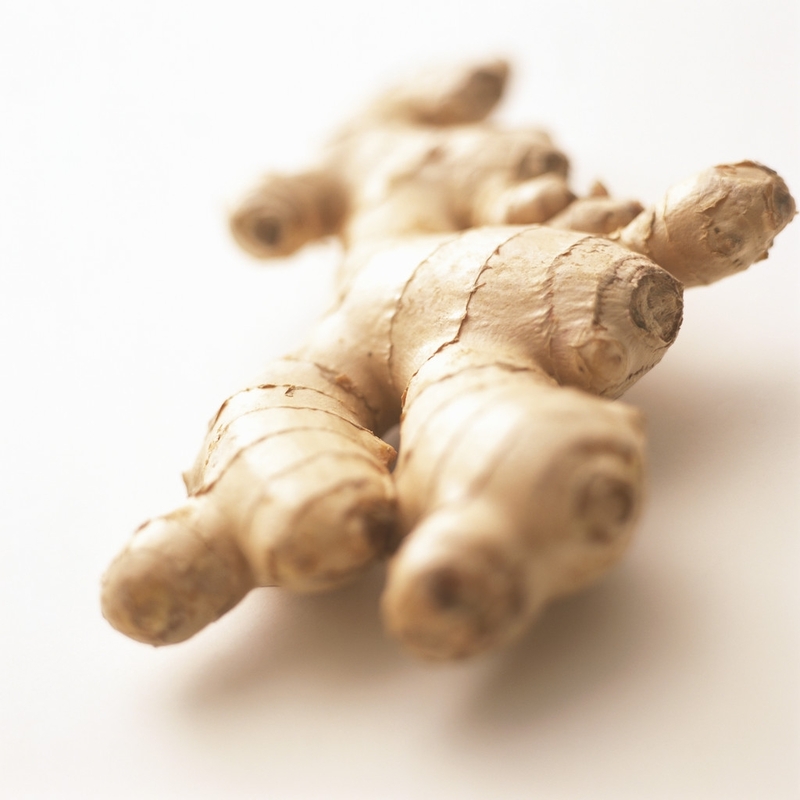 Aromatic, pungent and spicy, ginger adds a special flavor and zest to stir fries and many fruit and vegetable dishes. Due to its various medicinal benefits, ginger is considered a herbal remedy in many cultures. Over the years, it has been used to reduce inflammation, help with digestion, improve cardiovascular health and even historically to even ward off diseases like the plague. In the Ayurvedic tradition, ginger is highly regarded as having many diverse healing properties, and is used prominently in treating disorders of the digestive tract. In the Asian medicine tradition, ginger is considered to possess hot or warming attributes. It is also favored as a remedy for digestive conditions ranging from upset stomach to diarrhea to abdominal bloating. Ginger is still widely used for its potent anti-inflammatory properties. The gingerols found in ginger are powerful anti-inflammatory compounds that inhibit the production of nitric oxide, which helps relieve joint pain that is associated with arthritis. It also provides substantial pain relief from gout, osteoarthritis and rheumatoid arthritis, and also decreases swelling and helps with morning stiffness. In a research study published in 2005, investigators found that ginger may reduce inflammation more effectively than non-steroidal anti-inflammatory drugs such as aspirin. Ginger is an excellent herb to use for strengthening and healing the respiratory system, as well as for fighting off colds and flu. It removes congestion, soothes sore throats, and relieves headaches and body aches. Ginger is loaded with antioxidants, which have immune-boosting properties. By strengthening the immune system, it protects you against all sorts of infections and diseases. Although scientific research into the health benefits of ginger is really just beginning, over 2500 years of herbal wisdom, plus some recent scientific studies strongly support the use of ginger as an effective digestion aid. Ginger root has a great reputation for controlling nausea of all types. Several studies have found that ginger is more effective than placebo in relieving morning sickness. In a small study of 30 pregnant women with severe vomiting, those who ingested 1 gram of ginger every day for 4 days reported more relief from vomiting than those who received placebo. In a double-blind, comparative test at Brigham Young University, Utah, researchers found ginger root to be more effective in coping with motion sickness than the popular, over-the-counter drug, Dramamine. Fresh ginger roots can be found in the produce section of most grocery stores. Ginger is also available in other forms including dried root, capsules, tablets, tea, extracts and tinctures. A simple ginger tea can be made by pouring hot water over one teaspoon of freshly grated ginger and allowing it to infuse for 10 minutes before straining. Lemon juice and a little honey can be added to it if desired. Cinnamon is a delectable spice and much more. It has a long history of therapeutic use. In ancient times cinnamon was even considered more precious than gold. Some cultures used it in meat preservation, recognizing its ability to stop bacterial growth. Besides its anti-inflammatory, antioxidant and antimicrobial properties, new research reveals that cinnamon is very effective in lowering blood sugar levels. The effect of cinnamon on blood sugar levels was discovered by accident by USDA researchers in Maryland. While testing the effects of various foods on blood glucose levels, the researchers found out that the classic apple pie which is traditionally flavored with cinnamon paradoxically helped lower blood glucose levels instead of increasing it. Encouraged by these findings, further studies on cinnamon were done. In a 2007 study conducted at Malmö University Hospital in Sweden, the effects of cinnamon on gastric emptying rate and blood sugar levels in healthy subjects were revealed. Researchers measured how quickly the stomach emptied after 14 volunteers ate 300 grams of rice pudding alone or seasoned with 6 grams of cinnamon. The cinnamon appeared to slow down stomach emptying and blood glucose levels were notably lower in those who ate the pudding with the added cinnamon. In another study in Pakistan, researchers demonstrated the effects of cinnamon on patients with type 2 diabetes. Subjects with type 2 diabetes were given cinnamon supplements in different dosages: one, three or six grams per day. Within weeks the results revealed that that cinnamon supplementation considerably reduced the level of blood glucose and cholesterol levels in subjects as compared to the placebo group. This led to the conclusion that cinnamon is beneficial in the treatment of patients with type 2 diabetes as well as reducing the risk factors associated with diabetes including the risk of cardiovascular diseases. Another double-blind study conducted by French researchers in 2009 revealed that in the case of overweight people with impaired fasting glucose, cinnamon supplementation could reduce the risk factors associated with diabetes. Cinnamon also helps to improve the diabetic patients’ ability to respond to insulin and normalize their blood glucose levels. By helping reduce insulin resistance, cinnamon can also aid in weight loss. 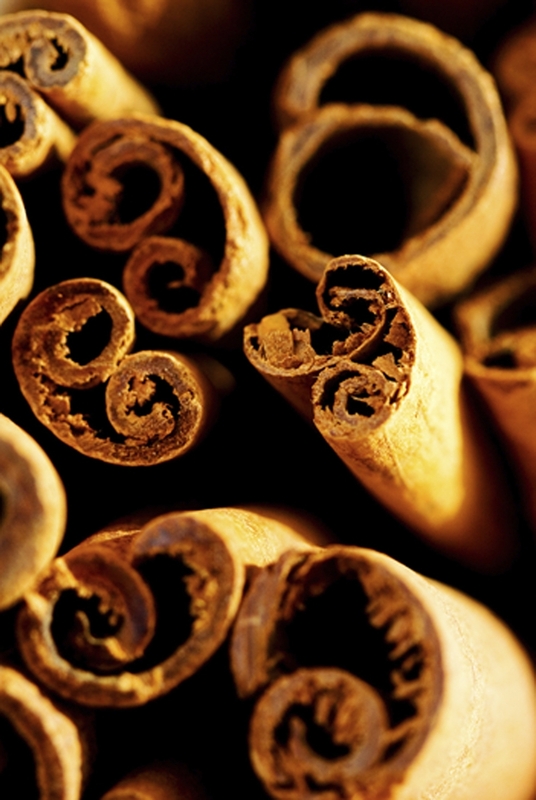 More studies are under way to show the powerful effect of cinnamon on blood sugar. In the meantime, go ahead sprinkle some of this aromatic spice on your toast, porridge, stir fries, hot cocoa or simply drink it as a nice warming tea!